From Tuesday to Friday next week (9 – 12 October), Fellows will be at the annual British Ports Association Conference at Sage Gateshead, Newcastle. The event is a unique opportunity for suppliers, industry partners and key stakeholders to catch up on the latest policy trends across the UK’s ports and harbours. With many of these port areas being in place through WW2 and with significant military activity, any redevelopment or extension work should consider the potential hazards of unexploded ordnance and Fellows is in a unique position to advise on risk assessment and threat management. 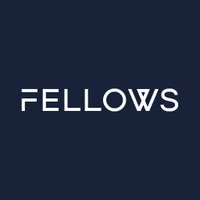 If you’d like to meet Fellows during the conference to find out more about its services for both marine and land environments it’s easy to book a meeting with Business Development Manager Paul Vickers and/or Researcher Nathan Oakes. Simply email info@fellowsint.com or call 08000 424 424. The conference runs from 9am on the 9th October to 1pm on 12th October. © 2019 Optima Group. All right reserved. Website by Livewire.